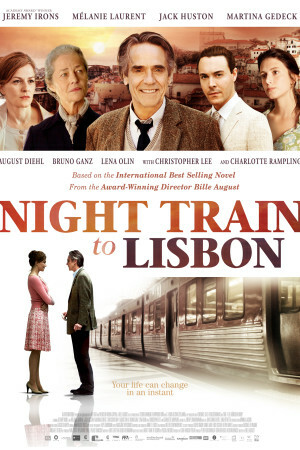 Night Train to Lisbon is an adaptation of the best-selling book by Pascal Mercier. After having saved a beautiful Portuguese woman from leaping to her death, Latin Professor Raimund Gregorius (Jeremy Irons) stumbles upon a mesmerizing book by a Portuguese author, which compels him to suddenly abandon his boring life and embark on an enthralling adventure. In search of the author, Gregorius acts as detective and begins to piece together an epic story of oppression and revolution, loyalty and betrayal, love and jealousy, all played out against the backdrop of a brutal fascist dictatorship. His exploration of the author’s life evolves into a liberating journey of self-discovery and Gregorius finds that life can change in an instant.